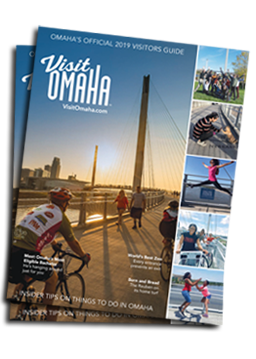 Omaha is known for steak and as the birthplace of the Reuben sandwich – now get to know the beefed-up version. During a weekend away, you’re not counting calories – you’re counting the number of bites until victory. One of Omaha’s most popular culinary challenges is the Stellanator, weighing in at 4,900 calories (remember no counting), you have just 45 minutes to polish off the 4.5 lbs. burger! The record finishing time is 3 minutes and 40 seconds. Do you have the stomach for it? If not, that’s okay, we’ve got a variety of burgers that will satisfy you without the meat sweats. Check out Omaha’s burger joints below and start your beef journey.